1- If gold meets the criterion of being made into coins, and is in currency for transactions, is in one’s possession, and reach the taxable limits, zakat will apply. But if these coins are made into ornaments and used by women as ornaments, e.g., necklaces and bracelets, then zakat will no longer apply. Note: Zakaat [obligatory charity] must be paid on gold if it reaches the Nisaab [i.e. the minimum amount liable for Zakaah], which is 20 Mithqaal [a measure which equals 70 grams of pure gold, according to most of scholars], this means that one should pay ½ a Mithqaal as Zakaat, i.e., 2.5% of the value of gold. 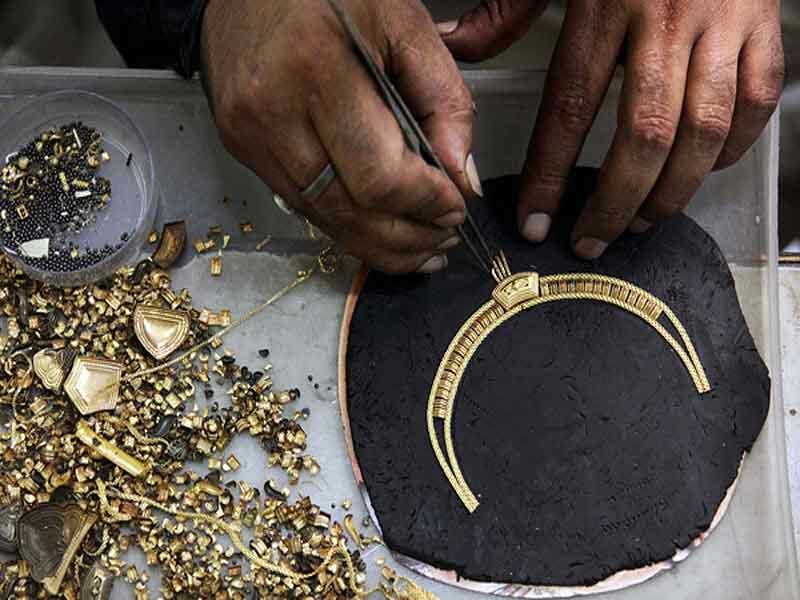 If 4 Mithqaal is added to the previous mentioned value, 2.5% of gold should be paid again as the liable amount of Zakaah. 2- If gold do not meet the criteria mentioned above, like in the case where they aren’t used as currency in transactions, then zakat will not apply. Based on this, since the gold used today isn’t used as currency, zakat does not apply to it. However, if a khums year passes and you have other required conditions (which have been mentioned in Tawzih al-Masael of maraja’ (ha)), you are just supposed to pay Khums. Index: Zakat and difference between Sayyid and non-Sayyid holms, answer 040. Index: How to calculate Khums on a house purchased with Sahm e Sadat, answer 046. Index: Khums in the Holy Quran and Traditions / Things on which Payment of Khums is Obligatory, answer 043. Index: Obligatory of paying knums on wife’s dowry, answer 042. Index: Obligatory of paying Khums on a plot of land you have the intention to sell it, answer 567. Index: Impermissibility of giving Sadat portion of Khums to a non-Ithna Ashari Sayyid, answer 041. Index: Khums on household items received from parents, answer 038. Index: Obligatory of Khums on savings exceeds a person’s expenditures, answer 559. Index: Zakat of Fitrah, Zakãt al-Abdan (or Zakãt of Bodies), answer 045. Index: Things on which Payment of Zakàt is Obligatory or Recommended, answer 044. Index: Zakat of Gold and Silver and its criterion, answer 039.
 . An inquiry from the office of the Supreme leader; Imam Khomeini, Tawdih al-Masa’il (annotated), researched and corrected by: Bani Hashemi Khomeini, Sayyid Mohammad Hosein, vol. 2, pp. 128-132, Islamic Publications Press, Qum, eighth edition, 1424 AH.
 . Tawzih al-Masael of maraja’ (with annotation of Imam Khomeini (ra)), Vol. 2, Pg. 129.
 . Tawdih al-Masa’il (annotated), vol. 2, pg. 131; Sistani and Saafi Golpaygani (inquiry from their offices); Zanjani: “Gold and silver coins used as currency that women use as ornaments, if are still commonly used in transactions as currency, are subject to zakat, but if they aren’t commonly used in transactions as currency, zakat will not apply, but it is still a recommended precaution to pay their zakat as well.” Tawdih al-Masa’il (annotated), vol. 2, pg. 130.
 . Tawdih al-Masa’il (annotated), vol. 2, pp. 128-132.
 . Makarem Shirazi (inquiry from office). Question 045: What is Zakat al-Fitrah and on whom its payment is obligatory? Can you also please let me know the commodity for, and the quantity of and the time when Zakãt of Fitrah becomes obligatory Zakät? Brief Answer 045: At the time of sunset on Eid ul fitr night (i.e. the night preceding Eid day), whoever is adult and sane and is neither unconscious, nor poor, nor the slave of another, he should give, on his own behalf as well as on behalf of all those who are his dependents, about three kilos per head of wheat or barley or dates or raisins or rice or millet etc. It is also sufficient if he pays the price of one of these items in cash. As per obligatory precaution, he should not give from that food which is not staple in his place, even if it be wheat, barley, dates or raisins. Detailed Answer 045: Zakãt al-Abdan (or Zakãt of Bodies) is also called Fitrah. There are several traditions that have come down on this subject. Here are a few of them. Verily, Zakãt-i Fitrah complements Fasting in the same way as the Salavat on the Prophet (May Allah send Blessings on him and his Progeny) complements Prayers. Now, we shall discuss about those on whom its payment is obligatory, its commodity, its quantity, its time and its uses. 1:The payment of Zakãt-i Fitrah is obligatory on a person who is Mukallaf, free and rich, in deed or virtually. So it is obligatory neither on a minor, nor on a lunatic, even if he has fits of lunacy periodically, in case he has had a fit of lunacy on the beginning of the night of Eid (al-Fitr). It is also not obligatory on their guardian (or Wali) to pay the Fitrah on their behalf out of their property. Rather, according to the stronger opinion, there is exemption from its payment as regards its payment for a minor or a lunatic even by the person who maintains a minor or a lunatic. Nor is its payment obligatory on one who has been unconscious on the beginning of the night of Eid (al-Fitr). Nor is it obligatory on a slave. Nor is it obligatory on a poor person who has no expenses for himself and his family sufficient for the whole year, indeed and virtually, as a surplus after deducting the debts and other exemptions. It is more cautious to take into consideration the debts the person has to pay during the current year and others. Of course, according to the more cautious opinion, if a person has something surplus from the expenses of a day and night even to the extent of a Sã (a cubic measure of varying magnitude = about 3 kilos), it would be better for him to pay the Fitrah. Rather it is approved even for a poor person to pay the Fitrah in all circumstances even if he revolves a single Sa’ throughout the members of his family until it comes back to himself, and then he should pay it to a stranger (poor person). This is the rule when there is no non-Mukallaf person among the members of his family, otherwise, he should confine the revolving process of the Sä among the Mukallaf members of his family only. If a Wali (or guardian) receives Fitrah from a non-Mukallaf, he should spend it on him alone and none else, and it is not to be paid to anyone else. 2: It is a condition that the above conditions should be there at the beginning of the night of Eid (al-Fitr) i.e., before the beginning of the night even if for a moment, in a way that the person should fulfill all the conditions when the night falls, so that it is not sufficient to possess these qualifications earlier but losing it as the night falls. Likewise, it is not sufficient if a person did not fulfill these conditions earlier, but happens to fulfill them afterwards. So the payment of Fitrah shall be obligatory on a person, for example, who attains the legal maturity (or Bulugh) at the time of the nightfall or he recovers of his lunacy. But it would not be obligatory on a person who attains legal maturity after the fall of night, or one who recovers of his lunacy. Of course, it would be approved to pay the Fit rah if a person attains legal maturity or recovers of his lunacy before noon on the day of (Eid al-Fitr). 4: A person the payment of whose Fitrah has become obligatory on another person due to his becoming the latter’s guest or being included among those maintained by him shall himself be exempted from its payment, even if he happens to be a rich person and would have fulfilled all the conditions required for the payment of Fitrah had he not been included among those maintained by the other person. Rather, according to the stronger opinion, payment of Fitrah shall be exempted if the host or one having the liability of maintenance happens to be poor while the guests were rich. According to the stronger opinion, the guest should himself pay the Fitrah if he comes to know that the host has not paid it due to forgetfulness or deliberate violation (of the relevant rule), though, according to the stronger opinion, it shall not be obligatory on him to pay his own Fitrah. According to the stronger opinion, payment of Fitrah is obligatory on the guest if he does not fall under the category of those maintained by the host, but the host should not give up caution by also paying the Fitrah for such guest in addition to the one paid by the guest. 5: If a person is away from his family, it shall be obligatory on him to make the payment of the Fitrah for the members of his family, except when he has authorized them to pay it from his own property and they can be relied upon in the matter of payment (of the Fitrah). 6: Apparently the criterion for being a member of one’s family is being included among those maintained by that person and not among those whom he is liable to maintain, though it is to be more cautious to take into consideration either of the two aspects. If the permanent wife of a person is included among those maintained by another, payment of the Fitrah shall be obligatory on that person, and not on her. If the wife does not fall under those who are to be maintained by any one else, payment shall be obligatory on herself provided that she fulfills all the relevant conditions. In case she does not fulfill the relevant conditions, payment of her Fitrah shall not be obligatory on any person. The same rule shall apply to the case of a slave. 7: If a person is to be maintained by two persons, payment of his Fitrah shall be the liability of both, provided that they are capable to do so. In case only one of them is able to maintain the person, it shall be obligatory to pay the Fitrah of his share to the exclusion of that of the other. Caution must not be given up in both the cases. 8: The receipt of Fitrah of a non-Hãshemite by a Hàshemite is forbidden, the criterion in this case being the maintainer and not the person maintained. It is more cautious to observe caution in both the cases. Niyyat of closeness (to Allah). If the principal authorizes another merely to take the Fitrah to the poor, the former shall be bound to have the Niyyat that what his agent is taking to the poor is the Zakãt (of Fitrah). It is sufficient to have such Niyyat in his heart, and it is not obligatory to bring it to his memory in detail. It is also permissible for a person to authorize another to make the payment of the Fitrah from his own property, and get its payment from him, so that the latter becomes an agent in payment of something from the property of his client. It is also permissible to authorize another to make payment of his Fitrah from his own property voluntarily without demanding its payment from him. Of course, there is difficulty in the permissibility of payment of Fitrah for another voluntarily without being authorized by that person to do so as his agent. 2: It is also a condition in whatever is paid as Fitrah that it must be sound and without any defect, so that it is not permissible to pay it in the form of anything defective, as also it is not permissible to pay it in the form of a commodity mixed with something pardonable. Rather there is difficulty in the permissibility of paying something defective and mixed in value for something sound without defect and unmixed. 3: It is preferable to pay the Fitrah in the form of dates and then in the form of raisins (or currants). 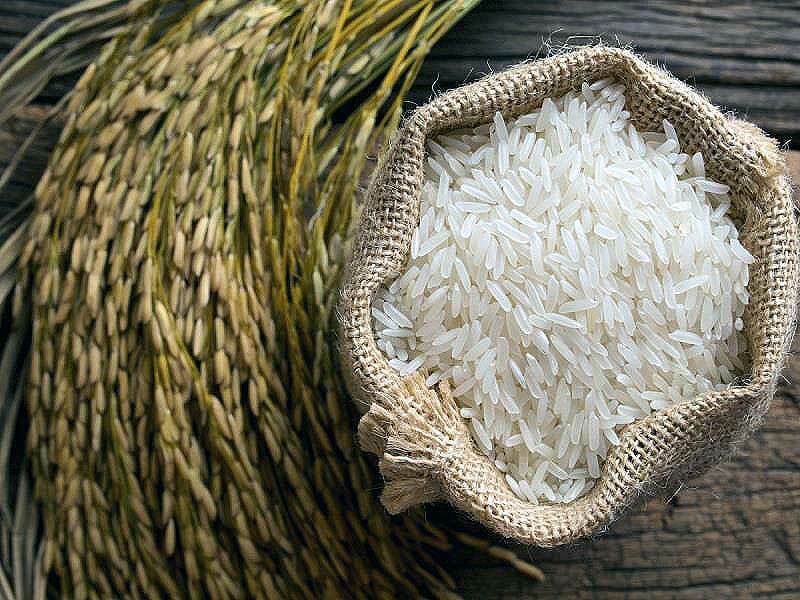 Preference is given to the more useful in consideration of the external preferences, as, in case the staple food of a person is wheat of superior quality, it is preferable for him to pay Fitrah also in the form of wheat of a superior quality and not of a lower quality, or in the form of barley. The quantity of Zakàt of Fitrah is a Sã in case of each foodstuff, including even yoghurt. A Sa = 4 Mudds, which are equal to 9 Iraqi Ratls and 6 Medenese Ratis These 4 Mudds are equal to 614 1/4 Sayrafi Mithqäls. According to the Hiqqah of Najaf, which is equal to 933 1/3 Mithqals, it amounts to 1/2 Hiqqah, 1/2 Waqiyyah (a Waqiyyah being equal to 1/2 Ratl) and 31 Mithqäls minus two grams; while according to the Hiqqah of Istanbul, which is equal to 280 Mithqàls, it amounts to 2 Hiqqahs, 3/4 Waqiyyah and I 3/4 Mithqàls. According to the Shàhi Maund, which is equal to 1280 Mithqals, it amounts to 1/2 Maund minus 25 3/4 Mithqãls. According to the current measure in Kilograms, a Sa = about 3 Kilograms. The time when payment of Fitrah becomes obligatory is the beginning of the night of Eid (al-Fitr) and continues till the noon (of Eid al-Fitr). It is preferable, rather more cautious, to delay the payment of Fitrah upto the day of Eid (al-Fitr). If a person offers the prayers of Eid (al-Fitr) he must not give up the caution by taking out the Zakãt of Fitrah before (offering) his prayers. If the time of payment of the Fitrah has already and he has set aside Fitrah, he must pay it to the person entitled to receive it. In case a person has not already set aside the Fitrah, then, according to the more cautious opinion, its payment shall not drop, and he should make its payment with the intention of seeking closeness (to Allah) without intending the payment being made on its due time or compensatory after the lapse of the due time. 1: It is not permissible to tender the Fitrah before the month of Ramadan, rather, according to the more cautious opinion, in all circumstances. Of course, there is no objection in its payment to a poor person and then accounting it for as Fitrah on the arrival of its time. 2: It is permissible to set aside Fitrah and specify it in the property of special commodities or set aside its value in cash. It is more cautious, rather more according to the guiding principles to confine to cash while setting aside the value of the commodity. If a person sets aside less than what is required, the rule shall be exclusively meant for that part, and the rest, shall remain unseparated. If a person sets aside more than required, then in setting it aside until the separated part is mixed with that belonging to Zakãt of Fitrah, there is difficulty. If, however, a person specifies the Zakãt of Fitrah in a property that is jointly owned by the master and another person, and his portion in it is equal to or less than Zakat, then apparently Zakât may be set aside in this way. If the time for the payment of Zakät of Fitrah has lapsed, but the person has set aside the Zakãt on its due time, it would be permissible for him to delay its payment to the person entitled to receive it, particularly in consideration of some preferences, though he shall be liable in case it is destroyed despite his capacity to pay it and the availability of the person entitled to receive it. On the contrary, if he were not capable, he shall not be held liable except in case of transgression of the rules or omission in the safeguard of the commodity like all other things deposited in trust. 3: lt is more cautious not to shift the commodity specified as Zakãt of Fitrah from one place to another when the person entitled to receive it is also there. According to the stronger opinion, the uses of Zakãt of Fitrah are identical with those of the Zakat for property, though according to the more cautious opinion, it should be confined to payment to poor Mu’mins (i.e. Shi’ahs) and their children, rather the indigent among them, even if they are not morally sound. It is also permissible to pay the Fitrah to the Mustad’afs (i.e. those who have been rendered weak or poor) from among the opponents (i.e. the Sunnis) in case of unavailability of the Mu’mins (i.e. the Shi’ahs). It is more cautious not pay to the poor less than a Sa (which is equal to about 3 Kilograms) or its value, even if the number of the poor is such that distributing the Fitrah to all of them in that way is not possible. It is also permissible to pay several Sa’s (of Fitrah) to a single poor person, father even up to the extent of his yearly expenses. According to the more cautious opinion Fitrah should not be paid or received more than required for the yearly expenses (of a poor person). It is approved to pay Fitrah exclusively to the Dhawi al-Arham (relatives on the maternal side), neighbors, those who have migrated from their native places for the sake of (Islamic) faith, jurists, intellectuals, etc. who possess some preferences, and caution must not be given up by not paying Fitrah to one who drinks wine or commits such major sins in public. It is not permissible to pay Fitrah to a person who spends it in the commission of a sin. Index: Obligatory of paying Khums or Zakat upon Goldsmith, answer 328.
 . The official website of the office of Sayyid Sistani (ha), rules concerning Zakat of Fitrah.
 . Bihar al-Anwar, Vol. 96, Pg. 109.
 . Wasael al-Shia, Vol. 6, Pg. 221.
 . Tahrir al-Wasilah of Imam Khomeini, Vol. 1, rules concerning ZAKAT OF BODIES (OR FITRAH). Question 044: Can you please tell us those things on which payment of zakat is either obligatory or recommend? Answer 044: Zakãt is obligatory on three cattle, namely, camels, cows and sheep (male and female both), two rich minerals, namely, gold and silver, and four cereals, namely, wheat, barley, dates and raisins (or currants), and it is not obligatory except on these nine items. 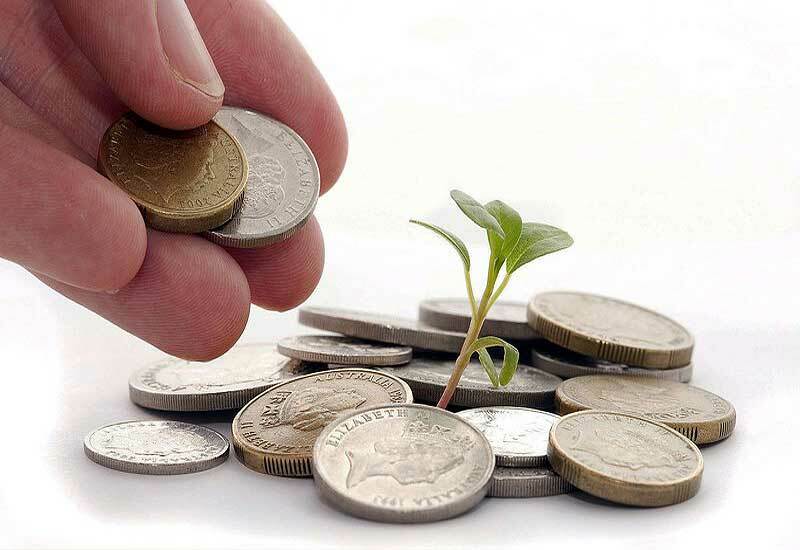 Note: some scholars have considered Zakat to be payable on the wealth in business, as a necessary precaution. 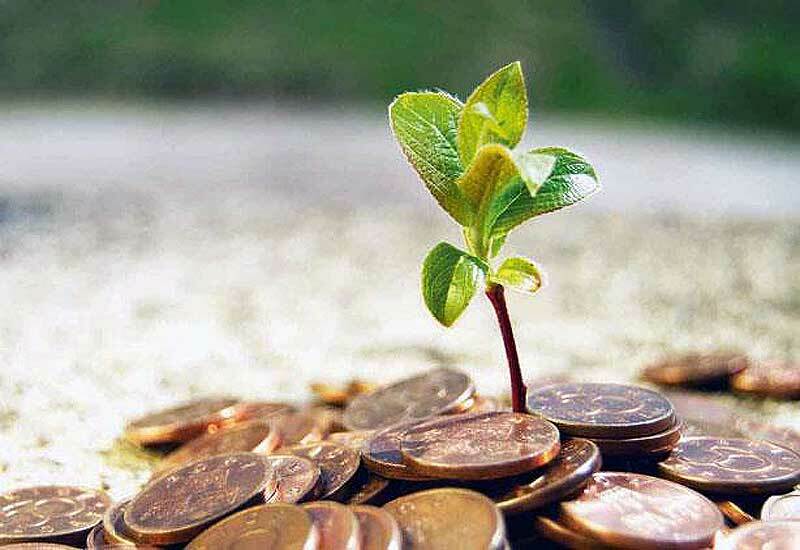 Some other scholars consider payment of Zakat on invested capital as recommended. Zakãt is approved on fruits and other things grown on land including even saitwort excluding vegetables or green crops (of grain) like Qatt (a grain eaten by desert people after pounding it), brinjal (or aubergine), cucumber, melon and the like. It is not free from difficulty in declaring payment of Zakät to be approved in case of (other) grains The same is the case with merchandise and mares. As regards horses, ponies and donkeys, Zakãt is not approved in their case. The followings are rules relating to the nine items (1. Wheat, 2. Barley, 3. Dates, 4. Raisins, 5. Gold, 6. Silver, 7. Camel, 8. Cow, 9. Sheep (including goat). ), on which Zakãt is obligatory. Payment of Zakat on Cattle: There are four conditions for the obligation of Zakat on cattle in addition to those mentioned earlier. They are: the Nisabs (criteria of payment of Zakat), grazing in the pastures, completion of one full year and their not being employed for service. One sheep on each unit of 5 camels. Two sheep on each unit of 10 camels. Three sheep on each unit of 15 camels. Four sheep on each unit of 20 camels. Five sheep on each unit of 25 camels. One Bint-i Mukhãd on each unit of 26 camels. One Bint-i Labun on each unit of 36 camels. One Hiqqah on each unit of 46 camels. One Jadha’ah on each unit of 6l camels. 11 Two Hiqqah on each unit of 91 camels. all the numbers without taking into account the units So in case of the number being 121 camels, three forties shall be taken into account and three Bint-i Labuns shall be payable as Zakãt. Again, in case of the number being 130 camels, two forties and one fifty shall be taken into account, and two Bint-i Labuns and one Hiqqah shall be payable as Zakãt. In case there are 140 camels, two fifties and one forty shall be taken into account, and two Hiqqahs and one Bint-i Labun shall be payable as Zakãt In case there are 150 camels, three fifties shall be taken into account, and three Hiqqahs shall be payable as Zakãt Where there are 160 camels, four forties shall be taken into account, and four Bint Labuns shall be payable as Zakãt. Action shall be taken in a similar way until the number reaches 200 camels, when one may account for five forties and pay five Bint-i Labuns, or account for four fifties, and pay four Hiqqahs. Nisãbs of Zakãt on Sheep: There are five Nisãbs of Zakãt on Sheep. For each unit of 40 sheep – one sheep. For each unit of 121 sheep – two sheep. For each unit of 201 sheep – three sheep. For each unit of 301 sheep – 4 sheep, according to the more cautious opinion The problem is, however, very difficult. For 400 sheep or above, for each 100 sheep – one sheep, how high so ever the number may be. Rules Concerning (Completion of a Whole) Year: A year is considered to be complete after the passage of eleven months. Apparently the Zakãt is shifted to its owners (i.e. those who are entitled to receive it) at the start of the twelfth month when it becomes their wavering ownership and its payment becomes obligatory unwaveringly, and so it is not permissible for the owner of the property to make any changes in it which may deprive those entitled to receive it of their right. In case he does, he shall be held responsible for it. Of course, if any of the conditions are not fulfilled unintentionally in a way that the property falls short of the Nisab during the twelfth month, the property shall return to its previous owner, and the obligation for the payment of Zakãt shall be dropped. According to the stronger opinion, twelfth month shall be counted in the first year and not in the second. Rules Concerning the Last Condition: It is also a condition (for the payment of Zakat) that the cattle (on which Zakãt is to be charged) should not have been employed for service throughout the year. In case they are employed for service, although for a short period of time, no Zakat shall be payable for them, even if they happen to be grazing (in the pasture). The criterion for determining whether they are employed for service is the prevalent or usual practice. Note: Neither sick cattle shall be accepted as Zakät for healthy cattle, nor shall old cattle for the Zakät of young cattle. Similarly, defective cattle shall also not be accepted as Zakãt for sound cattle, even if they fall under the Nisãb. Zakät on Gold and Silver: The following are some conditions in addition to the general conditions already understood. I – Nisãb of Zakat on Gold: In case of gold, the Nisãb of Zakat is twenty Dinars, whose Zakãt is ten Qirats which is equal to half a Dinar, and one Dinar is one Shar’i Mithqal which is equal to 3/4th of a Sayrafi Mithqal. So twenty Dinars come to fifteen Sayrafi Mithqals, and its Zakãt amounts to 4/8th of a Mithqal. There shall be no Zakat on less than twenty Dinars of gold, nor if it exceeds a little until the excess reaches four Dinars, and that is equal to three Sayrafi Mithqals whose Zakãt is two Qirats, as one Dinar = 20 Qirãts. The same amount shall be payable for each excess of four Dinars, and there shall be no Zakãt on any amount of gold which is less than four Dinars, but not in the sense that there shall be no Zakãt on it at all, as is the case when gold is less than twenty Dinars, but what is meant by exemption of whatever lies between two Nisabs is whatever exceeds the amount of Nisãb until its reaches another Nisab shall be supposed to belong to the previous one. So the first Nisab of gold begins from twenty Dinars until twenty-four Dinars, and it falls under the first amount of Zakãt that is half a Dinar. Once the amount reaches twenty-four Dinars, two Qirats shall be added to the amount of Zakãt, and it shall remain so until it reaches twenty-eight Dinars, when another two Qirats shall be added to the amount of Zakãt, and so on. 2 – Nisãb of Zakat on Silver: The Nisãb of Zakãt on Silver is two hundred Dirhams of which Zakãt is five Dirhams. Then on each amount exceeding forty Dirhams, there shall be an addition of one Dirham in the amount of Zakãt, whatever the amount may be. There shall be (initially) no Zakãt on silver of less than two hundred Dirhams, and so also there shall be no Zakãt on an excess of less than forty Dirhams, in the sense already explained under the rules relating to the Zakãt on gold. A Dirham is equal to six Dawaniq, which is equal to half of one-fifth Shar’i Mithqal, as each ten Dirhams are equal to seven Shar’i Mithqals. Explanation: The general rule in the payment of Zakãt on gold and silver is that when each of them reaches the Nisab i.e. twenty Dinars in case of gold and two hundred Dirhams in case of silver, 1/40th of the amount of gold or silver, as the case may be, shall be paid as Zakãt, and so its owner shall be considered to have paid what was due. If a person pays a bit more than the due amount of Zakãt, there shall be no objection, rather it shall be better and shall add to the beneficence. Second: For the obligation of payment of Zakãt on a gold or silver coin, it should bear the seal of a king or somebody like him of whatever time or place, belonging to Islam, or a non-believer, with writing on it or without it, even if the writing has been obliterated for some reason. In case a coin of gold or silver does not originally bear a seal or writing, payment of Zakãt shall not be obligatory on it, except when it was in currency, in which case, according to the more cautious opinion, it shall be obligatory to pay Zakát on it. If a coin (of gold or silver) is used, for example, as an ornament for decoration, then it shall not be obligatory to pay Zakãt on it, regardless whether its value exceeds (the limit of Nisäb) or falls short of it, and whether it was used in a way as transaction or not. Third: Completion of a year. It is also a condition that the whole Nisab should subsist for a full year. If, therefore, during the year it falls short of the required limit or it is changed in substance, etc., or by means of casting, even if in order to escape payment. Tawzih al-Masail (with annotation by Imam Khomeini), vol.2, p. 107, issue No.1853, Grand Ayatollah Sistani: “As an obligatory precaution, upon the wealth in business”. Tawzih al-Masail (with annotation by Imam Khomeini), vol.2, Pg. 107, issue No.1853; Ibid, Pg. 131; Tahrir al-Wasilah, vol.2, Pgs. 614-615, issue No. 5-7; Ibid, Vol. 1, rules concerning “Things on which Payment of Zakàt is Obligatory or Recommended”. Question 043: What is khums and what is it paid on? Please give examples of things on which Khums is payable? Question 040: What is the relevance of differentiating between Sayed holms and Non-Sayyed holms. I have never seen or heard of it until recently? Is one supposed to pay more than the other? There were two holms boxes at Eid prayer. One for Non-Sayyed and the other for Sayyed. 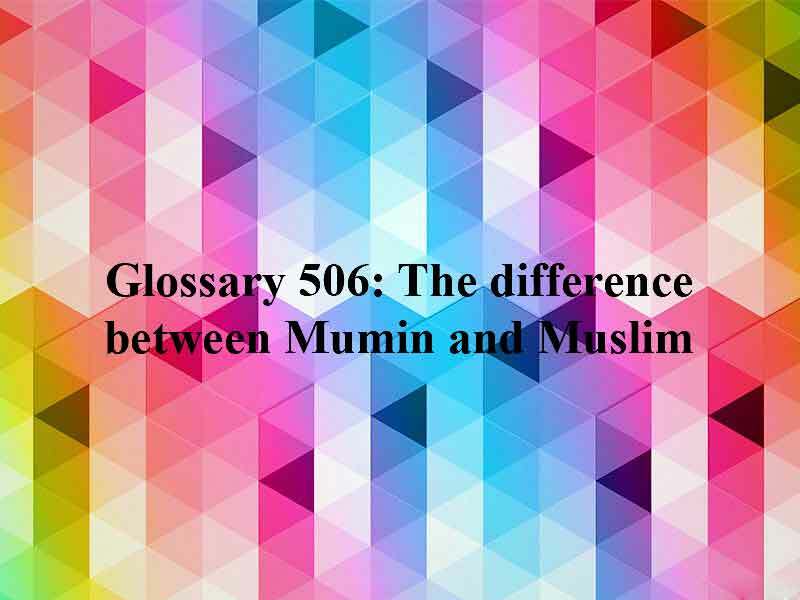 Answer 040: The only difference is that, a person, who is not a Sayyid, cannot give fitra to a Sayyid, and if that Sayyid is his dependent, he cannot give to another Sayyid either. Whoever is adult, sane and is neither unconscious, nor poor, nor the slave of another. He should give, on his own behalf, as well as on behalf of all those who are his dependents. The cost is about three kilos per head of Wheat, Barley, Dates, Raisins, Coined Gold & Silver, Camel, Cow, Sheep (including goat). It is also sufficient if he pays the price of one of these items in cash (it depends on where he lives). This is because the price of such items differ in each country or city you live or which such items we mostly use. As per obligatory precaution, he should not give from that food which is not staple in his place, even if it be wheat, barley, dates or raisins. “In fact, there are two boxes: Khums box and Zakat box. Each poor person has the right to use only one of the two boxes for his annual expenses.” The Non-Sayyid indigents uses the Zakat box and the Sayyid indigents use the Khums box. The Sayyid indigents do not have the right to use anything from the Zakat property. According to Sayyid Sistani, it is permissible for a Hashimi to give his sadaqa to another Hashimi or to a non-Hashimi. This includes both Zakat of property and zakat of Fitra. But it is not permissible for a non-Hashimi to give his Sadaqa to a Hashimi. If a Hashimi receives Zakat of property or fitra from a non-Hashimi, it would be forbidden for him to use it, and he who gives it (zakat), his “Zimma” (obligation) would not be discharged. In cases other than those mentioned above it is permissible for a non-Hashimi to give his Sadaqa, atonement, or Fidya of fast (kaffara) or any desirable charity to a Hashimi. Yes, if charity given to a Hashimi is too little an amount of property and it is given with the intention of repulsing calamity and evil, there is Ishkaal (objection) in its being permissible. Difference between Khums and Zakat: Both are obligatory, but Khums is on gains after exception of expenses of the year and Zakat is on cattle, crops, gold and silver.
 . Tafsir Nomouneh, vol.7, pg.183.
 . The official website of the office of Sayyid Sistani (ha), rules regarding Zakat. Question 039: In Sunni tradition, any pure gold a person possesses, even as given as a gift, one must pay a yearly zakat based on its weight. Does the same tradition apply to the Shia? Answer 039: If gold or silver meet the criterion of being made into coins, and are in currency for transactions, are in one’s possession, and reach the taxable limits, zakat will apply. If these coins are made into ornaments and used by women as ornaments, (E.g., necklaces and bracelets) then zakat will no longer apply. 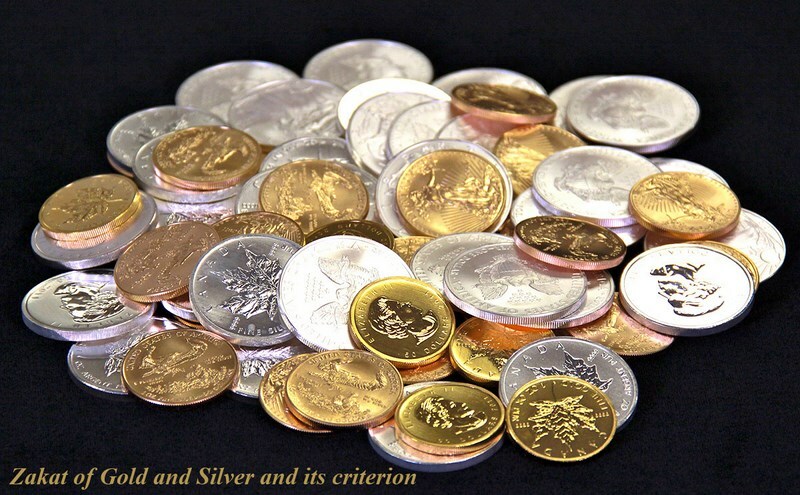 If gold or silver do not meet the criteria mentioned above, like in the case where they aren’t used as currency in transactions, then zakat will not apply. Based on this, since the gold used today isn’t used as currency, zakat does not apply to it. If the gold or jewelry being used isn’t for the woman’s ornamental needs, or exceeds their social status, and a khums year passes, it will be subject to khums.
 . An inquiry from the office of the Supreme leader; Imam Khomeini, Tawdih al-Masa’il (annotated), researched and corrected by: Bani Hashemi Khomeini, Sayyid Mohammad Hosein, vol. 2, pp.128-132, Islamic Publications Press, Qum, eighth edition, 1424 AH. Tawdih al-Masa’il (annotated), vol. 2, pg. 131; Sistani and Saafi Golpaygani (inquiry from their offices); Zanjani: “Gold and silver coins used as currency that women use as ornaments, if are still commonly used in transactions as currency, are subject to zakat, but if they aren’t commonly used in transactions as currency, zakat will not apply, but it is still a recommended precaution to pay their zakat as well.” Tawdih al-Masa’il (annotated), vol. 2, pg. 130. Tawdih al-Masa’il (annotated), vol. 2, pp. 128-132. Makarem Shirazi (inquiry from office). Makrem Shirazi, Sistani, and Saafi Golpaygani (inquiries from offices).